Veteran jazz pianist, Norm Amadio, is a truly iconic figure of Canadian Jazz. Along with notables such as Oscar Peterson, Archie Alleyne and Oliver Jones, Norm Amadio has long been recognized as integral to the development and export of Canadian based North American Jazz. A Royal Conservatory of Music graduate, Amadio has been performing professionally since 1947, and quickly made a name for himself as the un-official 'King of After-hours'. Not only did Norman play in and run the jam sessions that happened in the many late-night coffee houses that dotted the post-war City of Toronto, but his list of credits (in all phases of the music and entertainment business) throughout his distinguished career reads like a 'who’s who' of top jazz musicians and entertainers. A few of the international luminaries with whom Norm Amadio has shared the stage and/or studio include Peggy Lee, Miles Davis, Judy Garland, Mel Torme, Anita O’Day, Stan Getz, Al Hirt, Red Norvo, Maynard Ferguson, Lester Young, Zoot Simms, Henry Mancini, Clark Terry, Moe Koffman, and Rob McConnell. 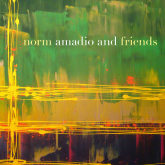 Norm Amadio and Friends is a collection of some of the finest Canadian jazz instrumentalists and vocalists Norm has worked with. Featured here on trumpet and flugelhorn are Guido Basso (Juno Awards and National Jazz Awards winner), on saxophone Phil Dwyer (Juno Awards and National Jazz Awards winner), with vocals Marc Jordan (Juno Awards winner), with vocals Jackie Richardson (Juno Awards and Gemini Awards winner & NAACP Awards nominee), Tommy Ambrose of the CBC-TV Shows, Celebration and The Tommy Ambrose Show. Doc Cheatham (b.1905-d.1997) was a jazz trumpeter, singer and bandleader. Over the years, he worked with many other notables including Cab Calloway, Teddy Wilson, Benny Carter, Teddy Hill, Eddie Heywood, Herbie Mann and Benny Goodman. Unusual for a jazz musician, and particularly for a brass player, Cheatham's talents seemed to flower when he was in his 70s, and most of his best recordings date from this late stage of his career. In 1996, he recorded an album with Nicholas Payton that earned them a Grammy Award. 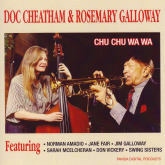 Rosemary Galloway is a jazz bassist, composer, singer and band leader based in Toronto, Canada. Her Credits include performing/recording with Clark Terry, Wild Bill Davidson, Buddy Tate, Jay McShann, Warren Vache, Spanky Davis, Doc Chetham and Norm Amadio. 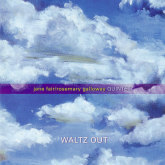 Her compositions can be heard the Rosemary Galloway Quartet, The Swing Sisters, Jim Galloway’s Wee Big Band, Velvet Glove and Jane Fair/Rosemary Galloway Quintet recordings. In the '70s Jane Fair studied at McGill University in Montreal, Canada where she began playing saxophone with notable jazz musicians. She later moved to Toronto and continued playing as well as composing and teaching at Humber College. In 2003, Jane received the prestigious "Lil Hardin Armstrong Jazz Heritage Awards" from the International Association for Jazz Education. 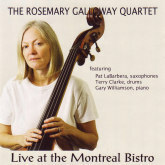 Rosemary Galloway is a jazz bassist, composer and band leader based in Toronto, Canada. Her credits include performing/recording with Clark Terry, Wild Bill Davidson, Buddy Tate, Jay McShann, Warren Vache, Spanky Davis, Doc Cheatham and Norm Amadio. Her compositions can be heard on The Rosemary Galloway Quartet, The Swing Sisters, Jim Galloway's Wee Big Band, Velvet Glove, and Jane Fair/ Rosemary Galloway Quintet recordings. 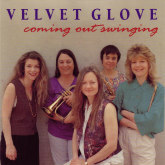 Velvet Glove was a jazz group in the early 1990's based in Toronto, Canada. They consisted of some very prolific musicians, some of whom later became studio musicians, record producers and music educators. What they all had in common is that they all made their mark on the music scene in the cities they would eventually work in: Toronto, Montreal and New York. 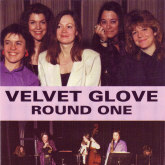 Velvet Glove only recorded two albums and those performances highlight the unique musicianship that each member contributed to the ensemble. Phe spent ten years as a songwriter and vocalist; fronting Glam Rock, Heavy Rock and Ska bands in England. She developed the idea of doing jazz arrangements to her favourite ‘60s and ‘70s hit tunes. They included songs by The Beatles, Rolling Stones, Jimi Hendrix, Cream, Led Zeppelin, Alice Cooper and many more. Phe recorded her album in Los Angeles and Toronto with world class jazz musicians and an amazing string section. The recording was produced by Paul Milner and Dan Cutrona. Ronald Muldrow has performed in clubs, at concerts all over North America and at the Newport Jazz festival. Some of the artists he has recorded or toured with include Dizzy Gilespie, Sonny Stitt, Chico Hamilton, Eddie Harris, Hubert Laws, Ronnie Laws, The Staple Singers, Maceo Parker, Lou Rawls, Pharaoh Sanders, Gary Burton, Jimmy Witherspoon, Lonny Liston Smith, Ramsey Lewis, Willy Bobo, Kenny Burrell, Della Reese, Cedar Walton, Ndugu Chancler, Rufus Thomas and Phil Upchurch. 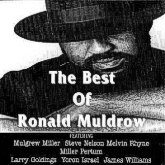 Panda Digital is proud to be releasing this fine collection of recordings from guitarist/composer Ronald Muldrow. "Felicia Carter is a marvelous, big-voiced singer, with the smarts to know when not to oversing. From the whispery incarnation of Jobim's "Meditation", to the brassy sass of "Evil Gal Blues" and "Is You Is Or Is You Ain't Ma' Baby", Carter catches the right mood for every song"
Based in Annapolis, Maryland; the UJE was previously located in Iowa and Arkansas as the flagship ensemble for the highly successful 'Rural Residency Arts Initiative' funded by the National Endowment for the Arts. As NEA sponsored artists in residence, the UJE was funded to compose, perform and teach to adults and students. The members of the UJE have served as faculty and visiting clinicians at over 100 primary and secondary schools, colleges and universities. They performed before the first lady of the United States and the National Council on the Arts in Washington. Concurrently the group toured Japan, Korea and Canada performing, teaching master classes and playing for radio and television. 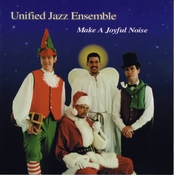 The UJE has performed at numerous jazz festivals, world renowned jazz clubs, performed for numerous arts councils, and shared the stage with jazz greats such as Milt Jackson, Charlie Bird, and Bobby McFerrin. 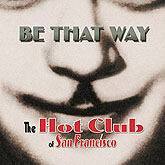 The hands of time are turned back to the Parisian jazz clubs of the 1930s by the Hot Club of San Fransisco. Lead by former Dan Hicks guitarist and songwriter Paul Mehling, the Bay Area quintet builds on the fast, precisely picked guitar/violin tradition set by the late French guitarist Django Reinhardt and violinist Stephane Grappelli. With their seventh album 'Veronica', Mehling and cohorts show their mastery of the genre. Rather than simply interpreting songs of the past, the band captures the era through Mehling's original tunes. While the accent is on lightening fast melodies and unrelenting rhythms, escpecially during the turbo-charged 'Swing'53', 'Swing This', and Yerba Buena Bounce', the mood is shifted during the Latin-flavoured 'Ersatz Sambo' and the heart-warming 'A Little Waltz for Misha'. Guitarists Dave Ricketts and Michael Groh provide a heavily chorded, pendulum-like foundation for tthe broad strokes of violinist Evan Price and the virtuosic picking of Mehling. 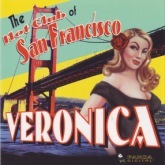 Although their previous albums have relied on guest vocalists, the intricate playing on 'Veronica' shows that the musicians of the Hot Club of San Fransisco are strong enough to stand alone. 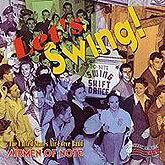 BIG BAND SWING: LETS' SWING! - The United States Air Force Band, AIRMEN OF NOTE. Tracks: Jeep Jockey Jump; One O'Clock Jump; Leap Frog; Pennies From Heaven; Swanee River; Let's Dance; Don't Be That Way; All of Me; Rockin' in Rhythm; Moten Swing; Satin Doll; Cherokee; Opus One; Sing, Sing, Sing. 30's & 40's style swing dance music is performed by one of the finest big bands on the planet: The United States Air Force Band, AIRMEN OF NOTE performing songs of Duke Ellington, Sy Oliver, Stephen Foster, Louis Prima, Count Basie and other notable songwriters. One hour of nonstop dance music takes you through slow, medium and tempestuous rhythms. 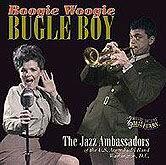 An absolutely fabulous big band album. 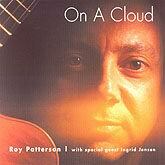 ON A CLOUD - Roy Patterson - Artists: Roy Patterson - guitar; Brian Dickinson - piano; Jim Vivian - bass; Ted Warren - drums; Ingrid Jensen - trumpet & flugelhorn. Tracks: A Man From Sung; Feel The Sun For Sonny Greenwich; An Affair To Remember For B. Evans and J. Hall; Blame It On My Youth; The Very Thought Of You; On A Cloud; Lullaby For A Sage For Li Zhi Cheng; Hymn For Simon Lewis; The Briefcase. The quartet again with a guest artist. Contains a mixture of originals and standards in different settings from duo to quintet. Nice quartet rendition of The Very Thought of You (Ray Nobel) and a piano/guitar duet on An Affair to Remember (Harry Warren) dedicated to Bill Evans and Jim Hall. 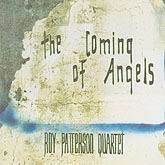 JAZZ - THE COMING OF ANGELS - Artists: Roy Patterson Quartet: Roy Patterson, guitar; Jim Vivian, bass; Brian Dickinson, piano; Ted Warren, drums; Tracks: Cloud Burst; (Drum interlude); Opening Day; First Elegy; The Coming of Angels; Phoenix at Rest; Re: Currents; Rise Forms. This CD has the second version of the Roy Patterson Quartet, the one that won the Prix de Jazz at the 1996 Montreal Jazz Festival. It has all original material and really captured what the band was about at the time. The production is superb and there is some great soloing. "...confirms his place in the upper echelons of Canadian guitarists." Geoff Chapman - Toronto. 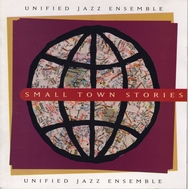 JAZZ - Joel Miller - FIND A WAY - Artists: Joel Miller, tenor sax; Ingrid Jensen, trumpet; Christine Jensen, alto sax; Tilden Webb, piano; Eric St. Laurent, guitar; Brian Hurley, bass; Kevin Coady, drums; Tracks: First Light Ceremony; Dark Fields; Find A Way; Hidden Inside; From the Abyss; How Are You Are; Georgie (trad. ); Innocent; (Look Up, Look Down) That Lonescom Road (trad.). 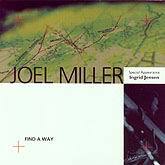 Montreal tenor saxophonist Joel Miller's album, Find A Way, is a beautiful collection of mostly original tunes. Miller may be young, but with this remarkable debut he promises to become a familiar and beloved fixture on the Canadian jazz scene. He is joined by Ingrid Jensen on trumpet and flugelhorn, Christine Jensen on alto sax, Tilden Webb on piano, Éric St-Laurent on guitar, Brian Hurley on bass and Kevin Coady on drums. All do remarkable work on this album. Miller's arrangements explore colour and texture, making effective use of unison, dynamics and repetition. The songs vary greatly in style from the dancing Latin swing and unexpectedly dark harmonies of From the Abyss to the folksy lullaby of (Look Up, Look Down) That Lonesome Road and the shimmering chorale of How Are You Are. All share a common drive, pushing through building tension to release. Special mention must be made of Miller's use of the rhythm section. The piano and bass together weave almost an ostinato motif in Georgie, while in Dark Fields it is the bass that pulls the piece, striding and skipping forward. Miller's canny use of the talent and skill of all the musicians on the recording, as well as his subtle ingenuity in the arrangements, is obvious in every tune. Find A Way is a strong debut for a very welcome new voice. - Heather McLeod - Review from Jazz Montreal. JAZZ - LEVITATION. Nancy Walker, piano; Kirk MacDonald, tenor and soprano saxophones; Kieran Overs, bass; Barry Romberg, drumsTracks: Leviation; Mister Mosca; Sweet Longing; Hot Tub; Sentimental; Let's Face The Music and Dance (Irving Berlin); The Tragic Figure; Three Corners; The Birches. 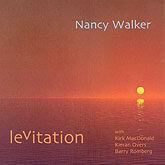 Levitation is Nancy Walker's third recording as leader - eight of the nine tunes are original compositions. Once again, band mates Overs and Romberg fill out her rhythm section, and Juno-winning saxophonist Kirk MacDonald is a phenomenal addition to the group. LUMINOSITY - Nancy Walker - Tracks: Syndrome; Twice Around the Park; Lonely Woman; Luminosity; The Inside Line; Old Souls; Angelica (Purple Gazelle); The Long and Winding Road. Winner of the 2003 Montreal Jazz Festival plays some of her originals along with well know jazz standards. JAZZ - FOR THE RECORD. 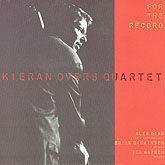 Kieran Overs Quartet. Kieran Overs, acoustic bass; Alex Dean, tenor & soprano sax; Brian Dickinson, piano; Ted Warren, drums. Tracks: Hullo Bolinas (Steve Swallow); Virgin Madris (Geoff Keezer); Angelica (Duke Ellington); Bacchanal (Kenny Barron); The Night We Called It A Day (Dennis & Adair); Willow (Steve Swallow); In Your Own Sweet Way (Dave Brubeck). Bassist Overs has been part of the Toronto jazz scene for the past twenty years. During this time he played with such visiting artists as Chet Baker, Sonny Stitt, Zoot Sims, George Shearing, Mel Torme, Kenny Wheeler, Sonny Greenwich, Dewey Redman, Junior Mance, Kenny Barron, Barry Harris and Harold Mabern. He has thus built himself a wide reputation working in these settings and also benefited greatly by taking trips to Denmark to study with Niels-Henning Orsted Pedersen and perform. In Toronto he leads groups from a quartet to an octet and also still works as a sideman with other. Tracks: Jazz Suite (C. Andrew); They Kept Bach’s Head Alive (B. Tildesley); L.L. (B. Tildesley); Royal Tease (P.J. Perry); Negligence (C. Andrew); No Matter (C. Andrew); Doodle (P.J. Perry); Don’t Forget (B. Tildesley) - Artists: P.J. 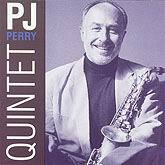 Perry Quintet: P.J. Perry, alto and soprano saxes; Bob Tildesley, trumpet; Chris Andrew, piano and synth. 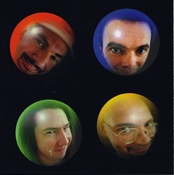 ; Miles Hill, bass; Claude Ranger, drums - The group of players on this disc come together as PJ’s favorite working band. His long association with trumpeter Bob Tildesley and drummer Claude Ranger pre-date their appearance on PJ’s first album as a leader the 1977 date Sessions. Bassist Miles Hill and pianist Chris Andrew have come to the band as recently as the summer of 1993 when they toured with PJ, Bob and Claude on an extensive, high profile tour of literally all the jazz festivals in Canada. 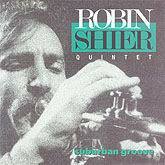 SUBURBAN GROOVE - Tracks: Suburban Groove; black Pimpernal; Skylark; Muse Speak; Home Sweet Homage; Hello Good Bio; Gestalt Blues - Artists: Robin Shier Quintet: Robin Shier, trumpet; Patric Caird, tenor sax; Miles Black, piano; Rick Kilburn, bass; John Nolan, drums. 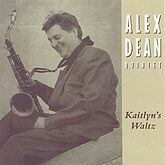 KAITLYN'S WALTZ - Alex Dean - Artists: Alex Dean, tenor & soprano sax; Mike Malone, trumpet & flugelhorn; Mark Eisenman, piano; Kieran Overs, acoustic bass; Barry Elmes, drums; Terry Promane, trombone; Alan Henderson, acoustic bass. Tracks: My Pal Al (Kieran Overs); Marshall Law (Alex Dean); 110 Dovercourt (Alex Dean); Another Night (Mike Malone); Kaitlyn's Waltz (Alex Dean); The Bedford Boys (Kieran Overs); Skylark (Hoagy Carmichael); One Way Out (Mike Malone); Sosumi (Mark Iesenman); Nommo (Al Henderson). Alex displays his exquisite saxophone style and his melodic compositions. A real treat for lovers of contemporary jazz. 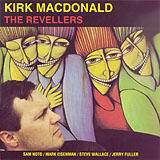 JAZZ - KIRK MACDONALD: THE REVELLERS. Artists: Kirk MacDonald, tenor saxophone; Sam Noto, trumpet; Mark Eisenman, piano; Steve Wallace, bass; Jerry Fuller, drums. Tracks: 224 Blues; Forward Motion; Body and Soul; Turning Point; The Devil; Embraceable You; Sweet Spot; Poinciana; The Revellers; Carnival; But Not For Me. It is amazing that this is Kirk Macdonald's first full album as leader! His earlier work is thinly documented mostly as sideman and on numerous CBC broadcasts, but here finally he is with players of his own choosing, playing songs, which have meaning for him. The results are both exciting and illuminating. 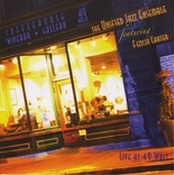 The music in this collection, a mix of standards and originals, covers a lot of ground. Includes an hour long Interview with Martin - Plus a Slide Show of Photographs - Featuring the music of The Hot Club of San Francisco - World famous photographer, Martin, lived in Hollywood between 1956 and 1996. During this period, he captured wonderful images of international stars, aspiring actors, TV personalities, models, musicians and many other people with interesting faces. His lighting technique for black & white pictures are unparrelled and his composition is highly acclaimed. The Hollywood Years DVD combines over 400 of his photographs, choreographed with the music of The Hot Club of San Francisco. 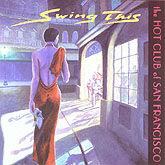 The songs range from swing to melancholy waltzes, funk and bossa nova. The DVD also offers a one-hour interview with Martin, highlighting details of his sessions with celebrities, his background and his years in Hollywood. 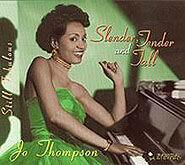 SLENDER, TENDER and TALL - Jo Thompson - Selections: Slender, Tender & Tall; Walking My Baby; Fine Brown Frame; Peel Me a Grape; If I Could Be With You; I Love To Love; Shiney Stockings; Just Squeeze Me; Up a Lazy River; Pennies From Heaven; Million Dollar Secret. Born in Detroit, Jo Thompson has been thrilling listeners with her voice and piano playing for decades. She has performed at top clubs all over the world, not to mention venues like Carnegie Hall. Her performances have received rave reviews in publications such as Variety and the New York Times. She credits and counts as friends and supporters such names as Lionel Hampton and Aretha Franklin. The three words best used to describe Jo Thompson are sophistication, talent and excitement. 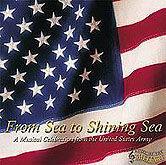 FROM SEA TO SHINING SEA: Tracks include: Summon the Heroes; On Brave Old Army Team; American Salute; Hellcat Concerto; Lincoln Portrait; Theme from J.F.K. ; Long Time Ago; Simple Gifts; At The River; Battle Hymn of the Republic; The Army Goes rolling Along; Stars and Stripes Forever; God Bless America; America the Beautiful. The United States Army Band, The United States Army Field Band, and The United States Military Academy Band. Today’s Army bands present over 30,000 free performances each year at home and abroad for audiences of more than 30 million. This special recording features musicians of The United States Army Band, The United States Army Field Band, and The United States Military Academy Band. It features some of the best performers in the world, all of whom serve proudly as members of America’s Army. We hope you enjoy the music of America by these superb soldier-musicians.